Here is such a beautiful friendship quote expressing the feeling of friendship. 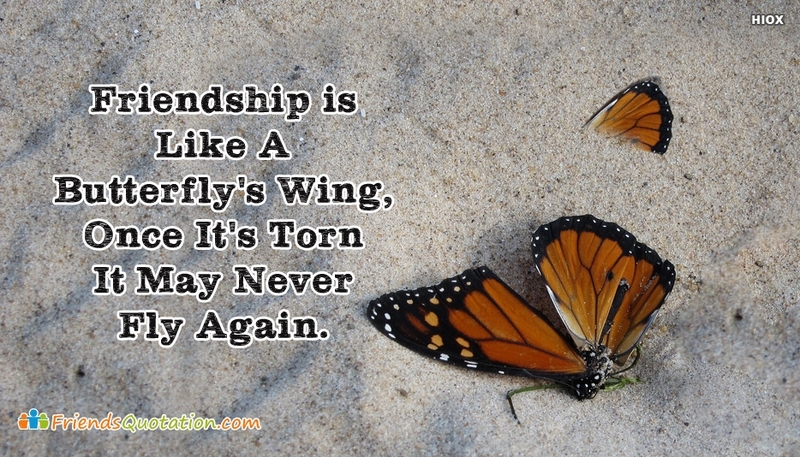 This picture compares and relates friendship with butterfly. When you have your dear friend with you, you can wander this world like a butterfly with happiness and joy. When your dear friend leaves you, you are like a butterfly without wings. Through this "Friendship is Like A Butterfly's Wing, Once It's Torn It May Never Fly Again" express your feelings to your dear friend.